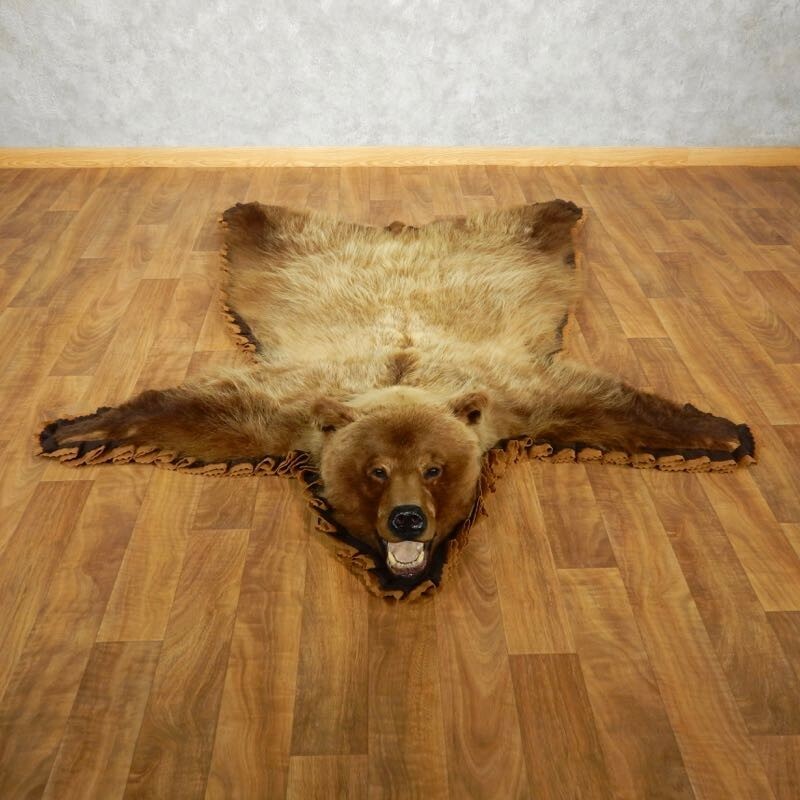 This is a superior Grizzly Bear full-size taxidermy rug mount, including a full, raised head with outstanding taxidermy work. It also features a great accent felt border and thick backing, which provides durability and protection against wear. The hide & hair are in terrific shape with wonderful color and the claws have been removed for better floor display. 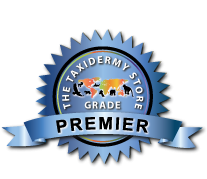 All this expert-quality taxidermy craftsmanship, earns this item our Premier™ overall quality rating. All applicable dimensions are included to help ensure this item will fit within your intended display space. - This is an Alaskan Grizzly Bear. - This item is meant to lay flat on the floor, or can be fastened to the wall (fasteners not included). - We do not recommend heavy foot traffic, especially with dirty shoes or boots. The legendary Grizzly Bear is a a sub-species of the brown bear, getting their name from the appearance of the grizzled greyish tips at the end of their brown fur. Unlike the brown bear, the Grizzly is only found in the northernmost wooded or hilly areas of North America, most notably in the Kodiak areas of Canada, as well as Alaska. Their diet, and behavior, is much the same as the brown bear, though a coastal Grizzly on a steady diet of salmon can weigh upwards of 1,500 lbs.